This post is not sponsored, nor was I asked to write this post. This post has been written because this was a program that I liked for my kids. With that being said, this post does contain an Amazon Affiliate link which means that should you purchase from that link, I will receive a small commission. Neither product is being sponsored and all words are my own. These were much cheaper than a cellphone, so if it broke, you could replace it easily and a lot cheaper than you could replace a cell phone and if you missed a phone call, the caller could leave a message on the machine. You also didn't have to worry about your child's safety because they couldn't play games or text unknown people on a land line. 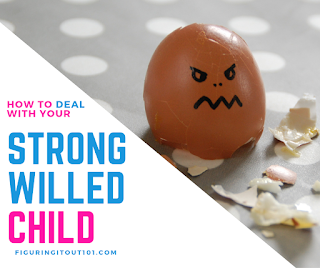 If your child was talking to someone they shouldn't, you saw the phone call on the phone bill and it was kind of hard to hide from your parents when you were using a landline. Unfortunately, landlines are being used less and less each year and cell phones are now getting into the hands of grade school aged children. So what can you do to encourage your children's social interaction with friends without draining your own cell phone battery when you don't want your child to have their own cellphone? 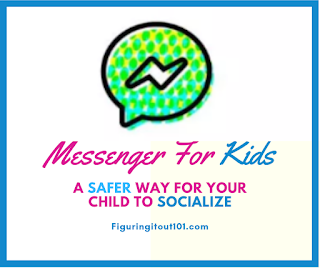 I asked some of my other parent friends and while they all suggested many things, the thing that kept reappearing in their suggestions was Messenger for Kids. 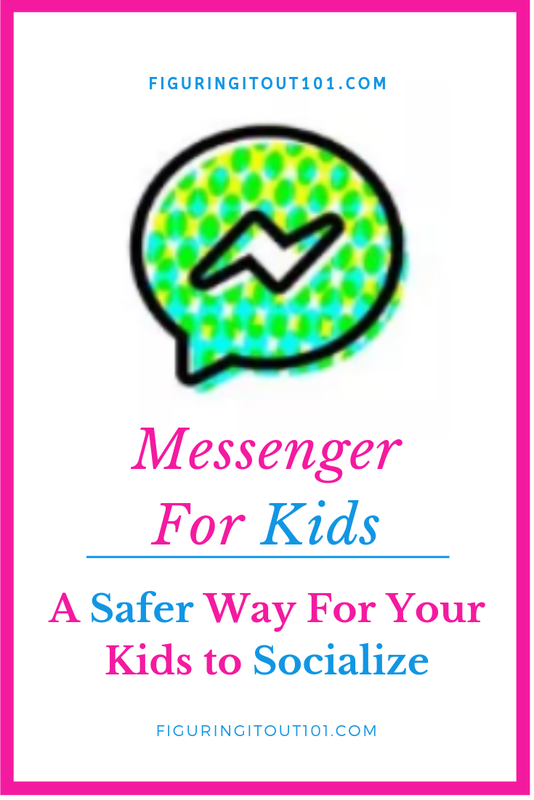 I was very skeptical at first because I associate Messenger with Facebook and I definitely DID NOT want my kids to be on Facebook. After some research, though, I found out that they don't have to be. 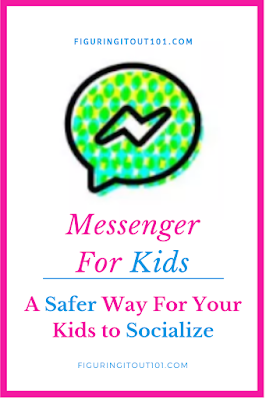 Moms and dads everywhere... Messenger for kids is controlled by YOU! You can download this app onto a device that your child uses and then sign them up through your Facebook account. You decide who your child can talk to. 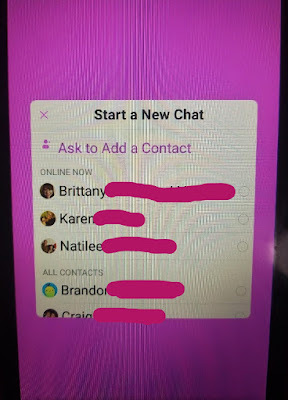 If your child wants to talk to a friend, your child can send you an invite request and then you can decide whether or not you want your child to talk to that person. Strangers can't be added without your consent. 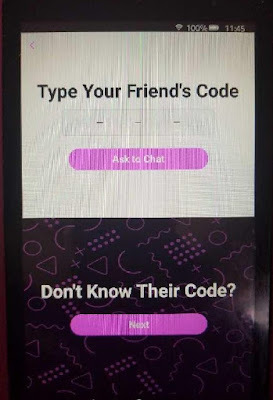 Your kids can add a friend's code, but they won't be able to add that friend until you approve. 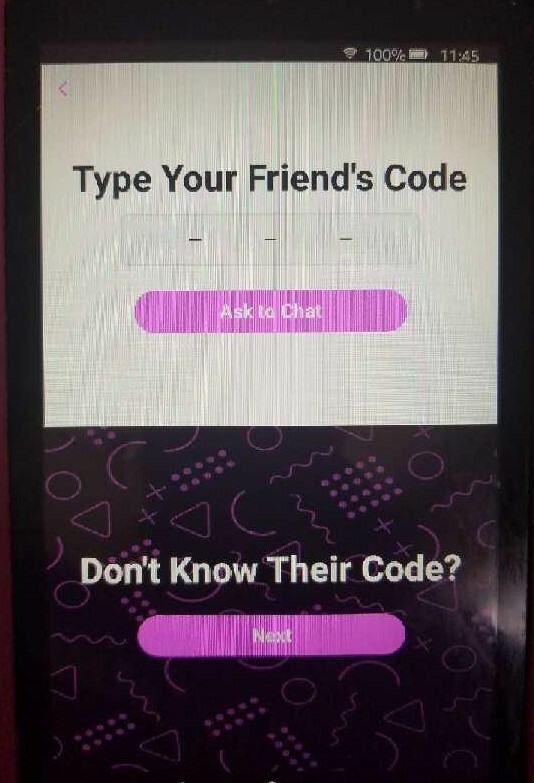 If they don't have a code for that friend, they can search for them or add them by name, and again, they can't do that without your permission. This is the message your kids will have sent to you so you can add that person for them. Your child will be able to have conversations with friends and family. 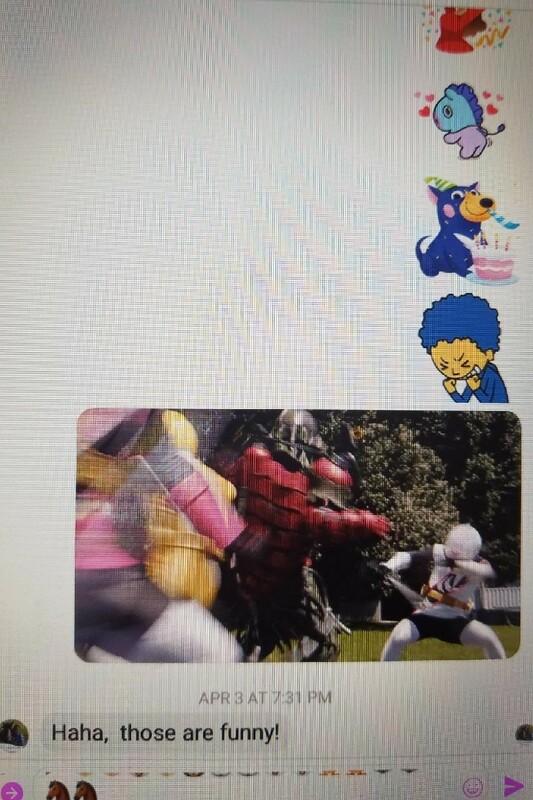 They'll be able to send funny stickers and kid friendly Gifs. 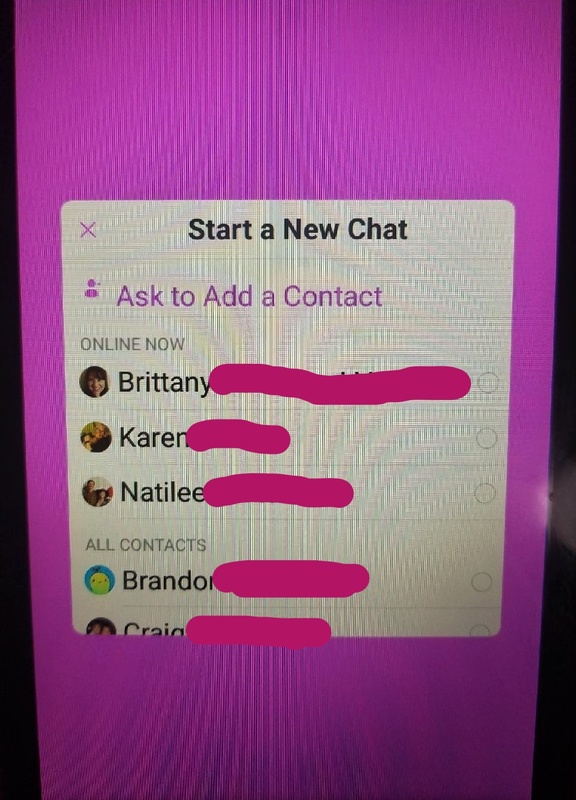 And my favorite part about Kid's Messenger is that they can video chat their friends. As far as I've been able to tell, they can only chat to one person at a time. I love that my kids are able to talk to their grandparents when they'd like. Our kids use their Kid's Messenger on their Kindles. I love this because their Kindles are controlled by me. I can control how much time they use it and also what age friendly apps they can use. Their Kindle comes with a 2 year worry free warranty. If the screen cracks or it stops charging, you can get it replaced for free and each Kindle comes with a free year subscription of Free-Time Unlimited which gives them access to hundreds of kid friendly apps, learning tools, and books and like I said, you get to have control over everything. Your kids won't be able to access the internet to do shady things and can't download apps without your permission. The Kindle is also great because my children are asked to use some learning apps for school, as well. Sometimes they are assigned homework through those apps over break and I don't have to worry about my kids using my computer or using my own Kindle to do their thing. I knew that some day, my kids were going to start socializing with their friends outside of school. That day came sooner than I thought it would and I'm not ready for it, but it's here. With so much technology these days, kids are able to talk to their friends in many different ways and it's our job as parents to make sure that our kids are safe when they do. I know that when I was a kid, chat rooms were a big thing and every once in a while, I'd get a message from someone I didn't know who wanted to do some shady things. 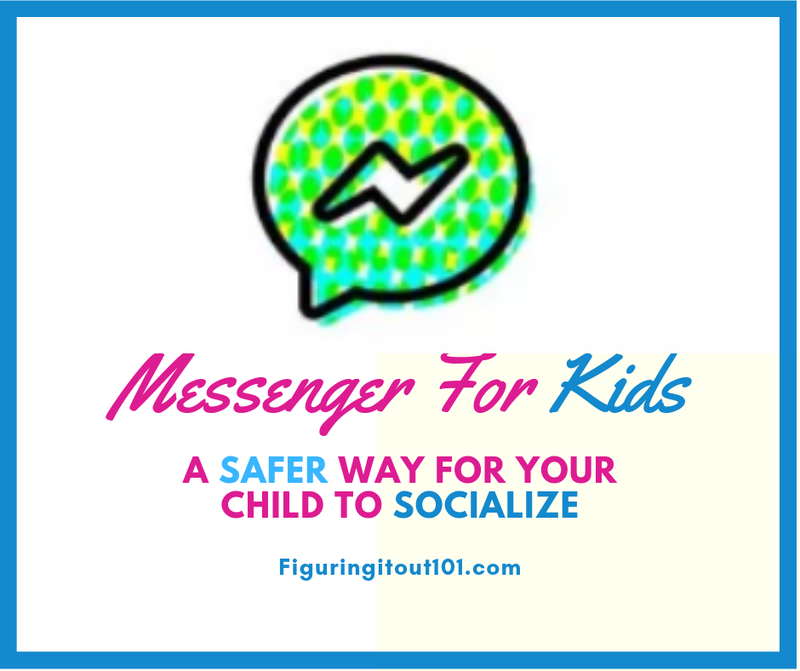 I don't want that for my kids, so I'm glad that my kids can use a messenger that I approve of that can be monitored by me, but also allow my child the freedom that he needs to be able to socialize with his friends. What do you think about Kid's Messenger? Do you let your kids use technology? Who still has a landline besides my grandparents? This sounds like such a great app for kids to have access too. Allowing them to keep in touch with friends safely is a must in this day and age. It's been great for letting them catch up with family, too! I think Kids Messenger is a good thing to keep in contact with friends and family. Then parents can safely monitor it. It's been awesome to use at our house! I believe I first heard of them rolling this out last year. I think it's a very good idea, giving parents control over it. It's allowed us a certain peace of mind. Very interesting idea. I don't have have any kids in my life but can see where this would be helpful for parents. 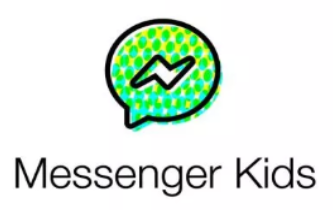 I had never heard of kid messenger! How great is it! They can socialize safely and all! I've read somewhere that FB is launching a messenger for kids, cool idea for sure, very interesting. It's so great that the kids don't need to have a Facebook account to sign up for it. I haven't heard of this app but good to know so I can suggest this to my sister who have kids. Thank you! Something that I forgot to mention is that messenger for kids works with normal messenger. This app looks like good for kids and kid friendly. I can suggest it to my nieces. It's also compatible with regular messenger, so you can talk and video chat with them, too. Oh landlines! Who remember those? I'm still trying to resist this social media stuff. My oldest has a phone and he usually uses the iphone messenger. My youngest has no phone and so far he communicates with his friends at school or in person after school. So no worries here just yet! Great info for families you have here. So far, my kids haven't actually added any of their school friends, but they've added family and friends from where we used to live. They'll video call their grandmas and grandpas, so this has made us feel just a little closer than the 150 miles we are apart. I think this is interesting up to a point. I am not sure I would like all of the ramifications of giving facebook access to what my children were typing up. I am sure a lot of that is to get me to purchase things and sell my kids information, which is sad. So far, we haven't been asked to purchase anything, yet. You do make a very excellent point about capturing what your kids say. 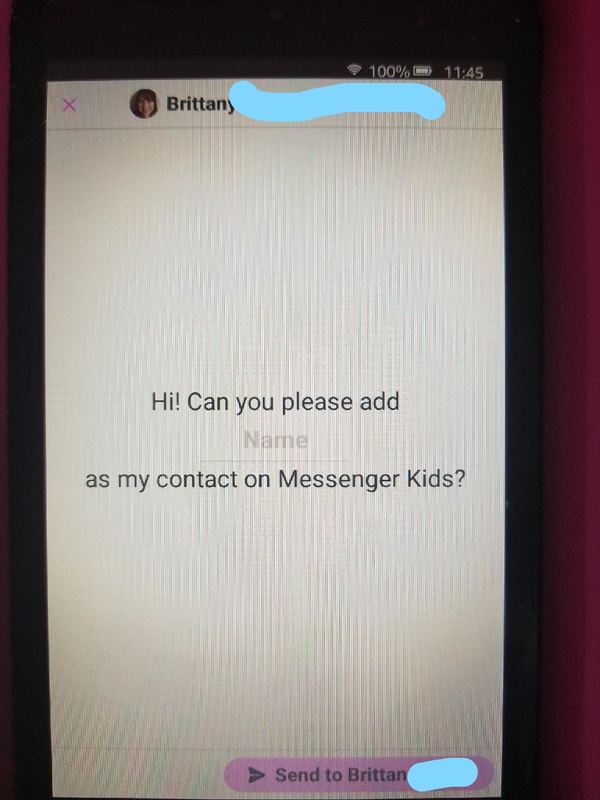 Thankfully, Messenger for Kids doesn't make you sign your child up for a Facebook account, so I don't have to worry about my kids posting things on there for the whole world to see. Everything has just been between them and their friends/family and since I created it, I can also see what they are doing.